So, looking at Blazefoot's bio, I just realized that we all have really different naming styles and interpretations of suffixes. And then I started wondering about them. Therefore, I created this thread to ask y'all! Pretty much, I want to know (1.) what style you use,(Creative/Lyrical, Traditional, Functional, Canonical, Third-style, One-part, something else that I forgot) (2.) what limits you place on prefixes, (3.) are there any "sacred" prefixes in your opinion, (4.) which suffixes you use,(besides -kit, -paw, and -star) (5.) what their meanings are to you, (6.) opinions on name changes and (7.) what would justify one, (8.) gendered prefixes/suffixes yes/no, and (9.) if so which ones, (10.) kittypets/loners/rogues keeping names when joining a clan?, (11.) how do you rate names, (12.) maybe some of your favorite names that you've heard from wherever, (13.) favorite/least favorite names(in your opinion) that you've roleplayed a character with? And anything else you might might relevant. Feel free to skip any of these, although I would really like to hear your suffix list/meanings. Keep in mind, none of this is meant to judge based on how y'all are different, but just to satisfy my curiosity. (1.) Functional/Traditional,(Not sure which, although probably leaning closer to functional) following the guide Ailuronymy closely. (2.) Flora and fauna that would be around the cat's territories, some colors,(black, dark, brown, fawn, red, russet, ginger, grey, silver, blue, golden, yellow, and white) things in nature of about one color, some adjectives and pelt patterns, pretty much anything the cats would know of that is of one or a few specific colors that brings a clear image of a cat to mind that does not have specific pelt colors. No dishonorable names, prefix or suffix. (3.) Yes, Sun-, Moon-, Star-, and the names of whatever clans are around. -Cloud: A calm and patient cat with no outstanding skills. -Face: A good-looking cat with no outstanding skills or personalities traits that warrant a suffix. Otherwise the same as -fur, -pelt, and -stripe. -Fang: A cat that is above average in both fighting and whisker, but shows aptitude for one over the other. -Flower: A cat that shows excellent mothering abilities. -Fur: A cat with no outstanding skills or personality traits that warrant a suffix, interchangeable with -pelt and sometimes -stripe. -Leaf: (Medicine cat only) A cat that is exceptional in the art of healing. -Pelt: A cat with no outstanding skills or personality traits that warrant a suffix, interchangeable with -fur and sometimes -stripe. -Storm: A cat with an unpredictable, often changing nature. -Stripe: A cat with no outstanding skills or personality traits that warrant a suffix, as well as tabby markings, interchangeable with -fur and -pelt. -Tail: A cat with excellent agility/balance. (6.) I don't mind them for the most part, although some can be silly. For the most part I play things safe and don't give my cats renames. (7.) Only due to severe injury that led to permanent disfigurement and/or disablement, most often ones that force a warrior to retire. No scars unless of the severity of the ones Brightheart has. (8.) and (9.) Only one suffix, for -flower. (And even that can change depending on the meaning of -flower that the clan uses.) Everything else is gender-neutral. And woah, long post. I just wanted to ask about which naming style and suffixes you use and it exploded into this, sorry. Lol, Rockheart would become Rockstar. How funny. As for the rest of it, I don't particularly care about the names. :3 I take awhile when it comes to names, but I don't think about much of that. If I had to choose my favorite name from all the cats I've ever roleplayed, (and that's a lot of characters) I think it would be Blazekit, Lilyfoot, and Scar Arrow. Yup. Hadn't even realized that about him until a rater pointed it out. And okay, that explains Blazefoot, I can live with that. But where's Scar Arrow from? And out of curiosity, do you ever rate names? Actually Blazekit is not from this site. The two are both from Warrior Cats RPG, which you have already heard me talk about. My user on there is Skyleap01. (Though my screen name is Greek, it's κουκουβάγιαφατριών πιστοί.) And on the rating names, what do you mean by that? As in from 1-10? Yes, but don't forget that you have a Blazefoot here as well. I was referring to him, since you threw me for a loop when his description fits the opposite of a -foot suffix by my standards, and thus decided that I would like to understand your naming methods. And ah, I didn't make that clear, did I? I meant, is Scar Arrow a loner of some sort? And on the rating names, you have just managed to confuse me as well. Would an example work? Ratflower- 9/10 A lovely name! This describes a black or brown tabby with a very caring and motherly personality. Minkface- 10/10 My goodness I love this name! A brown tabby that's attractive but otherwise not very notable. Ashsun- 5/10 Ash is fine for a grey cat, but what does -sun represent? Legendleather- 0/10 I can't get a picture of this cat, unless they're some cool hero cat with sunglasses, great hair, and lots of leather. Luckdawn- 1/10 I think I can sort of see where you're going with this, and it's kind of pretty, so I'll give you a point. Fun fact: All of these names came from various random generators. Also, I apologize for getting a little carried away with this random example. I happen to love rating names, so yeah. Rejectturtle- 0/10 What a wierd one. Add our scores for Luckdawn together and xe gets a perfect ten! But yeah if that name made any sort of sense to me it would get a much better score, its charms have gotten to me. And the generator that I got Legendleather and Rejectturtle from is hilarious, I just got Zodiacebony and Spacepuma. Here, rate my actual names and I'll rate yours? Brownclaw- 9/10 I like the sound of it, it gives a nice ring. Adderfoot- 10/10 It makes sense(for a clan cat), sounds cool, and I can definitely imagine him. Stonecloud- 7/10 I think this isn't your greatest one, just because the words "stone" and "cloud" don't really mix well. Nightflower- 9/10 Very pretty, the name seems to have a sort of "flow" to it. Lightnose- 9/10 It soudns nice, although whenever I hear it I think of Rudolph. This name would be appropriate for him. Skyfur(changed from Skystar, since this was her warrior name)- 6/10. Kudos on using -fur, and it sounds lovely, but sky- doesn't fly. The reasoning generally being that the first instinct would be to imagine the color blue, of a shade that a cat can't be. After that, it's a whole bunch of different colors that can pretty much denote any pelt color besides brown. Prefixes that refer to a specific time of day or weather condition would be more accurate. Blazefoot- 8.5/10. Wasn't sure which to go for, so I'm splitting it halfway. Most traditional raters would hate blaze-,(since it's a synonym of fire-, just use fire-) but I don't mind it. The name is in fact quite pretty, probably my favorite of yours. My only problem is that in my opinion Blazeclaw would probably be a more fitting name for this cat, but that's personal preference. Sage- 0/10. My apologies, but that's not actually a warrior name so it automatically fails. It works as a loner name, but I could talk all day on why a cat that refuses to take a warrior name should not be in a clan. It wouldn't work as a prefix for Sage anyways, since he's an orange cat and sage- denotes grey fur. Fireshadow- 5/10. Fire- is fine, fits the cat, no problems with that. On the other hand, -shadow doesn't really work. 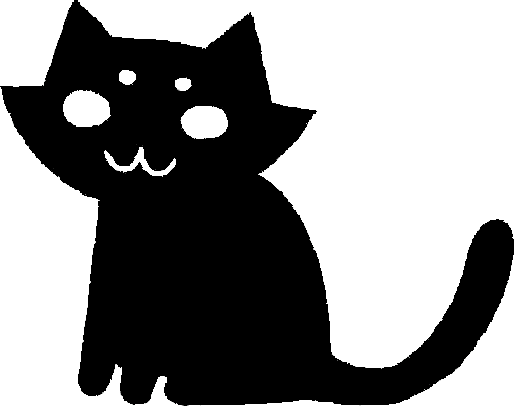 Normally it seems to represent a stealthy cat, but that's mostly relevant in a hunting setting, which would make them a good hunter and thus qualify for -whisker, and an ambush situation, which most cats should be capable of doing anyways. Plus, I don't think the name flows very well, -shadow's always been a bit clunky in my opinion, and it just doesn't go well with fire-. Ack, I'm really sorry if any of that was rude? Please tell me if it was, I don't want to sound like a jerk about this. It's completely fine. I like having a new set of opinions, it's always good. Lostheart- 6/10. Lovely name, but lost- simply doesn't fly. Neither does the fact that you appear to have one-part named her, especially since she could qualify for -heart(depending on personal suffix meanings, of course) on her own. When Stonecloud was Stoneheart before his name was changed to better suit him, he did not have a heart of stone. Quite the opposite, in fact. The same should go for Lostheart. (Not that she can't have the name with her current personality, but it shouldn't stand for her secret depression.) Anyways, I'll stop talking about one-part naming, sorry. Lost- doesn't work because it implies nothing about this cat's appearance. She was named for special circumstances surrounding her birth, but that's not going to help anyone to identify her. If someone had to locate a cat in a crowd, they could identify a Redstripe much sooner than a Lostheart. The prefix should represent the cat's appearance, not special circumstances surrounding the cat's birth/joining of the clan. Likewise, the suffix should represent useful skills/personality traits, but like I said, you're good with -heart. Lostheart could also possibly qualify for a name-change, depending on how serious whatever is going on with her ear is. Ripplerain- 4/10. Once again, very pretty,(Alliteration always makes a name sound lovely, doesn't it?) but this time both parts don't work. I'm not sure what exactly you're going for with ripple-? Water is normally clear, and then can be a whole bunch of other colors(mostly due to reflections) that ripple- doesn't do anything to represent. I've seen someone claim that it stands for tabbies, but that still doesn't tell her pelt color, which is more useful information, and judging by her picture she doesn't have very distinct stripes anyways. As for -rain, I don't understand what that's supposed to represent? If it stands for her pelt color,(which rain- certainly could) then make it her prefix. Whisperleaf- 6/10. Delightful sounding, but whisper-. Why would she be named Whisperkit? It's impossible to really judge a kitten's personality, since they pretty much do the same things at first, and it's quite possible that their personality will change drastically as they grow older, in a way that is much less likely to happen to an apprentice old enough to be a warrior should they get a suffix representing their personality. Pelt colors will only change for certain breeds of cats, however, so they're safe. One the other hand, -leaf suits this cat so well, it's great. Dragonfly- ~/10. Sorry, can't really rate the names of loners/rogues that aren't a part of a clan. It's a nice name, though, and she's a cutie. Actually, all of your cats are.